One of the reasons I joined a co-op was to try new things. Instead of buying and eating the same recipes, what I get from the co-op is what I have to work with. I love to eat and I love to try new dishes but it takes a lot to make my taste buds really hum. 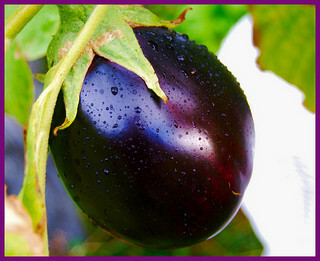 Again this month, we got an eggplant, which I usually make as a parmesan. But this time I wanted something lighter, quicker and different. Did I ever find it in this Roasted Eggplant with Herbs recipe. I believe this is my find of the season and I did not use fresh herbs but just some dried Italian seasoning. It’s one of the best things I have ever eaten, smooth, creamy texture and such a subtle roasted flavor and the herbs. Just simply divine. It’s always a problem, you buy a bunch of celery because you want a little crunch in a dish you’re making, perhaps some chicken salad, and then you are left with the rest of it until it rots in your fridge. Two of my chief goals in joining a co-op were to try new dishes and to avoid throwing away or composting food. I wanted to use what I received, so when I got a bunch a celery last week I started thinking. I did not want to make celery soup as the husband says he hates it and that would end up being wasted. 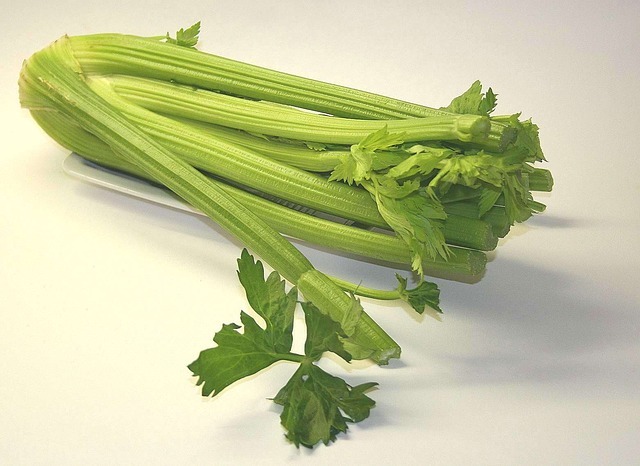 Nothing was coming to mind when one night as I got into bed, I thought “braised celery.” Don’t ever recall having heard of seen of such a dish but I thought, what the hey, I’ll do an Internet search and see what I find. Lo and behold, the Food Network had a recipe, Braised Celery. To make the recipe a little lighter, I used olive oil instead of butter and low sodium, organic chicken stock instead of beef stock. I have to be honest, I was a little afraid of tasting this. Really did not think I would like it but it’s really, really good and with a great texture too. Would highly recommend using up your leftover celery for this one. I actually oohed and aahed when I opened up the big white cooler at the co-op and saw the Rainbow Chard. Such a pretty vegetable. Appropriate too that it would show up in this week’s pick up after the days and days of rain we have had, which also gave rise to a few rainbows. Not sure what I am going to do with the chard. Given the pretty color of the stems, it would be nice to use them with the leaves in a simple sauté. 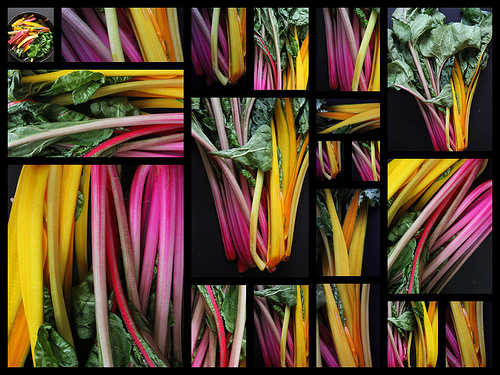 As the photographer of this picture, Sarah @ pingsandneedles, notes, Rainbow Chard is one of the few vegetables to hold its color when cooked. Then again if I have the time and energy, I might use them in the adaptation of Little Kitchen Big Flavor’s Beef & Rice Stuffed Swiss Chard I made last month. Instead of using the beef and rice, I used chopped turkey meat and quinoa. The result was even better than the stuffed cabbage I so love. Kind of a cross between the stuffed cabbage and a Parmesan dish. Rich in flavor, texture and so good for you. I used to eat a fair amount of shrimp before so much fish started to be farmed raised. Farm-raised shrimp tends to be particularly nasty and has been labeled a Chemical Cocktail by Public Citizen. Once in a while, however, you just have to have some shrimp — at least we do — and when I found this Shrimp and Corn Chowder recipe that uses Old Bay seasoning, which I adore, I just had to give it a try. 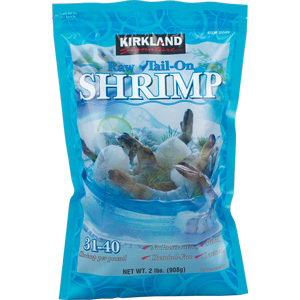 So my answer was to turn to Costco, which I think tries to do a good job sourcing food and purchased its Kirkland bag of raw shrimp. I did make one major substitution in this recipe. 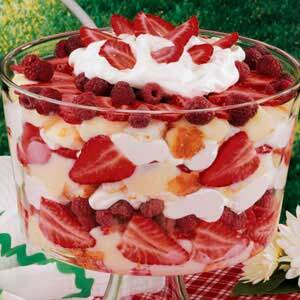 I used two-percent evaporated milk in place of the half-and-half to reduce the calories and fat. It’s a great substitution with no loss of flavor or texture. And I was able to use some of the orange and yellow peppers from our latest co-op pick up. I originally found this recipe in a magazine at the doctor’s office. Yes, I am one of those people who occasionally will rip out an interesting recipe or article from a magazine in a public place. If there is a good selection of magazines, meaning there is plenty for people to read while they are waiting, I might also just take the entire magazine. Having just ripped out the recipe in this case, I have no clue which magazine I got this recipe from but fortunately epicurious.com has the exact same recipe. After the soup, my next favorite recipe from this week’s pick-up was mushrooms over quinoa. Nothing fancy. Just sautéed some mushrooms in a little butter, less than a tablespoon, and when they were near done threw in about two tablespoons of sherry. Reheated some quinoa I had already pre-cooked, topped it with the mushrooms and sprinkled with some parmesan cheese. Made for a very tasty and protein-packed weekend lunch so I could go out and pull some weeds in the garden and move around some plants. Pick-Up 3, along with an amazing bag of mixed greens, included quite a bit of fruit – namely strawberries and cantaloupe. Luckily, it also came right before our Memorial Day gathering with neighbors and friends. The top recipe to come out of this was the Skinny Strawberry Cheesecake Trifle from Jeanette’s Healthy Living that does NOT rely on low-fat Cool Whip, which I refuse to use. Instead, Jeanette uses low-fat cottage cheese and low-fat sour cream to get that cheesecake flavor and believe it or not it really works. The dessert was a complete hit and is now my cousin’s favorite and she lives for full-fat decadent treats. NOTE: This recipe calls for two cups powered sugar. I did not have any on hand and two cups sounded like a lot. I used about a quarter cup regular sugar. The cantaloupe I diced up and made part of a mixed green salad, topped with a dressing made from a little olive oil, apple cider vinegar and Dijon mustard. It’s one of my stand-by dressings. A friend at work has joined a really amazing CSA that provides her with recipes for what she receives every other week. For the tomatoes, she was provided with this Tomato Phyllo Tart recipe from Eating Well. Since I had a box of phyllo in the freezer left over from another dish, I thought I’d give this a try. Was really curious how this would go over with the husband. Given that he’s a Jersey Italian who could live off of pizza, I was afraid this would be too much of a deviation from your typical flour crust, tomato sauce and mozzarella cheese. Turns out he loved it, and if Ray likes it I know it’s a keeper. 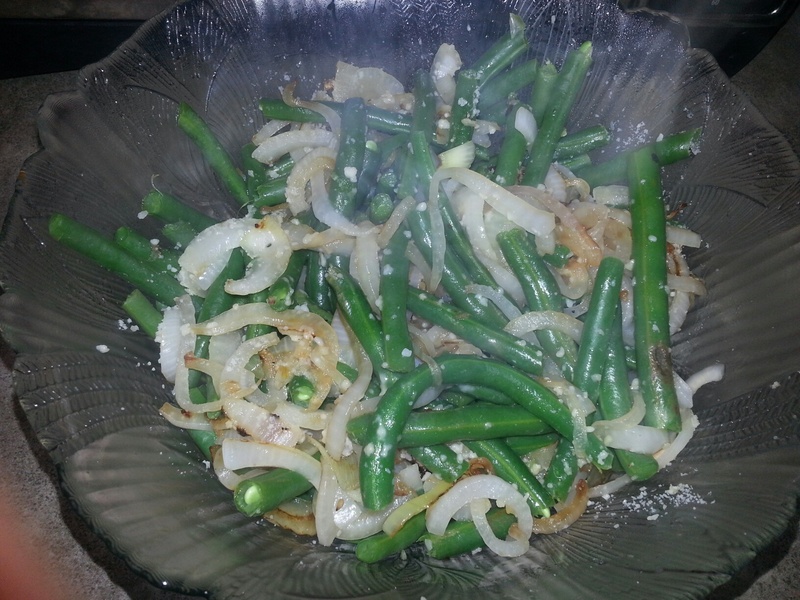 For the last dish from Pick Up 1, I made this recipe based on the Green Beans With Onions and Garlic posted by JackieOhNo on Food.com. Some changes I made are I used a lot more garlic, 3 cloves, and white balsamic vinegar instead of white wine vinegar. Was good the first night and two nights later, too. Now I have been dreaming of a really refreshing summer salad – Blueberries and Corn – I tried at a cooking class I occasionally take part in. If we don’t get blueberries and corn in Pick Up 2 this week, I think I really am going to have to buy some. May sound like an odd combination but you really have got to try it. Here is a recipe from two peas and their pod. 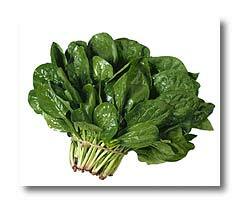 Figures I bought a bag of spinach before my pick up, so the first challenge was what to do with all this spinach. First up, I turned to one of my trusty Weight Watchers recipes, Feta and Vegetables Frittatas. Two great things about this recipe are that you can use whatever veggies you have on hand. Along with the spinach and artichoke, I added in my leftover portobellos from a few nights before. The second is that these freeze very nicely. I store two each in sandwich bags so during the work week, all I need to do is heat these up for a quick, tasty breakfast that also begins to meet my veggie goals for the day. Next up was something new, Fava, Spinach and Quinoa Cakes from Marcus Samuelsson, a protein-packed dish. This was my first attempt at fava beans. 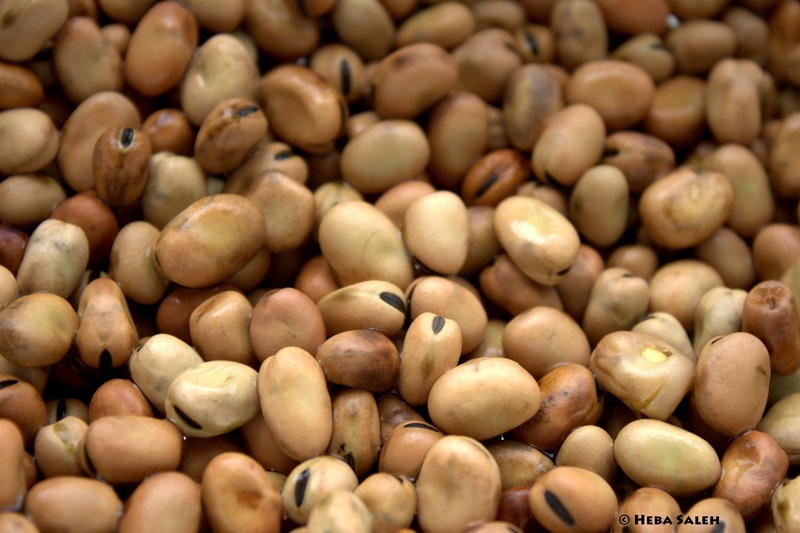 I used dried beans, which required some soaking beforehand. From Martha Stewart, I leaned to boil them for 5 minutes after soaking overnight and then to throw them into a cold water bath to make it easier to remove the hard shell to get to the bean. Sunday morning, I sat out on the deck enjoying the sun and popped off the skins. It took a while before I learned the trick, which is to score the dark part of the bean, peel that back and pop out the bean. This recipe made a lot, so I was able to freeze a nice bunch so I have lunch to bring to work. The husband thought they were lacking in flavor. I think I may have been too cautious with the spices. Given the Mediterranean spices, I whipped up some Greek tzatziki sauce, which made these quite delightful. The rainbow chard became an easy Friday night dinner. I bought some chorizo spiced chicken sausage at the natural food market I am fortunate to have near where I work. Cooked that up and then threw in the chard with some garlic and white wine. Viola, dinner! Notice, how I like to throw things together?